In common with other primates we are equipped with opposable thumbs, i.e. we can move them toward the other digits on our hand, a very useful ability of course and something we take for granted in our daily lives–but who would have thought that in the 21st century we would use our thumbs to communicate with each other?– even Darwin would have shook his beard at that one! 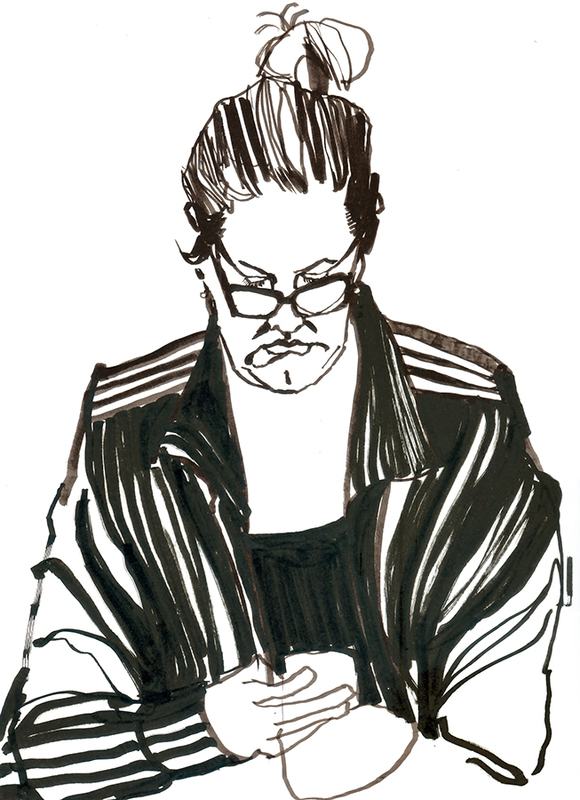 I used to a brush pen (and opposable thumb) to make this drawing of a café guest texting. Thanks Rosie! Although I worry I get too carried away sometimes with these ideas, Russell. What a brilliant concept, communication via thumbs!